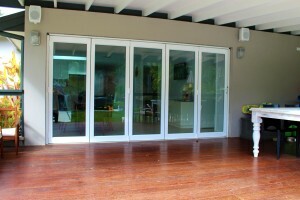 We found the entire experience of having bifold doors installed, opening up the entire back of the house and bringing the outside inside, simply beautiful. From start to finish, from initial contact with Phil and receiving prompt quotes all the way through to the final installation, we received everything we truly wanted with a hassle free experience. 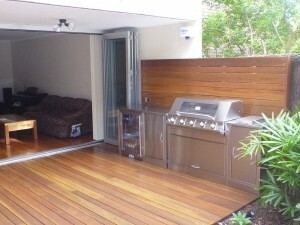 Just wanted to say thanks to Phil and his team at Northern Beaches doors and windows for an awesome job. Phil came and gave us some great options and some great input about what doors and windows would work best. The bifold doors look so spectacular that we also had servery bifold windows installed in the kitchen by Northern Beaches Doors & Windows. From quote to installation the entire process was flawless. 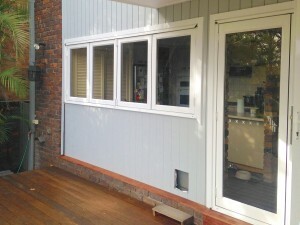 My wife and I are so impressed that we have no problem in recommending Northern Beaches Doors and Windows Services for all your window and door needs. NBDWS came recommended from friends who had used their services and we couldn’t be happier. We were so impressed with the workmanship and the quality of the doors and windows, not to mention they were also about the best priced. Our home has been beautifully transformed by the addition of new doors and windows. So much value has been added to our property by these new additions, particularly the wonderful bi fold doors that replaced old timber sliding doors.